Farley Nursery school is a private nursery based in the Wiltshire countryside. It was set up in 2006 by husband and wife team Sue and Gary Palmer and has since won several accolades, including Outstanding Business of the Year in 2009. 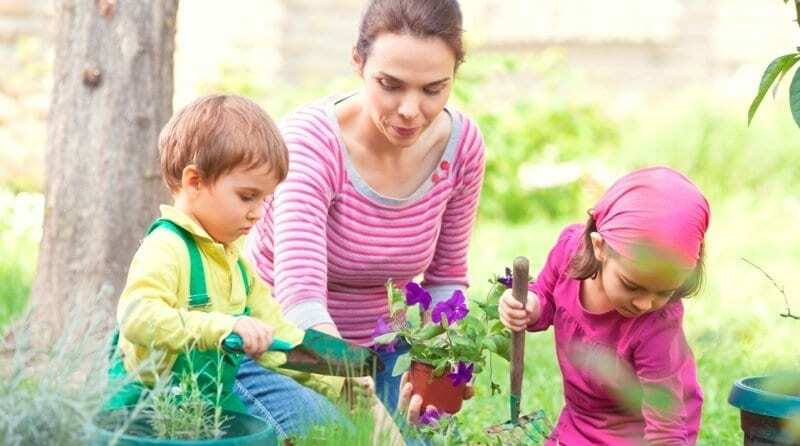 The nursery has a unique Scandanavian approach to Early Year’s education which means children will spend much of their time outdoors exploring; gaining awareness and respect for the environment. The setting cares for up to 70 children from birth to 8 years of age. What was life like before you had Abacus? Eight years ago, my wife Sue would have to set time aside every evening to manually process reports and print invoices for each child to send to parents. It was not easy to do and took up quite a bit of her time! At what point did you realise you needed software? The trigger point was the increasing number of children we had. We were spending quite a few hours processing everything manually and we realised it was just not worth doing anymore. That’s when we started looking for a software solution. How long have you been using Abacus for and why did you choose it? We started using Abacus six years ago and we chose it because we have an ethos of running our business efficiently, so it seemed like the perfect solution to help us achieve this. How easy did you find the set up process? To give you some idea: we are now using Abacus in our third nursery! The set up process has been very easy and straightforward. Not only that, you get good support from the Parenta team. How much time do you think it has saved you? Once the software has all been set up and is working, it definitely saves you time. I would say it saves you at least a few hours per week. Were there any welcome surprises? We are always finding things we love about the software, and there are new updates released all the time. Personally, I did not realise that Abacus could take care of the staff details and managing that side of the business, as well as taking care of planning ahead and invoicing parents. How have your staff found it? One of our admin team, Jo, has been with us for 2 years and she says “Abacus is really easy to use, you can’t fault the support you get” and she has no complaints whatsoever. How would you describe the support you get from our team? The Parenta support team are really friendly whenever we call to ask for help, and they always email us back really quickly too whenever we have a problem. What feature do you like most about it? As a business owner, I love to be able to see what money is coming in at a glance, so the financial reporting side of Abacus is really important to me. Other than that, the staff have found it really easy to navigate. Would you recommend Abacus to another childcare provider? We have looked around at other management software, but for us Abacus was perfect because it ticked all our boxes. I would definitely recommend it to another childcare provider looking for a management software solution.